I’ve been wanting to run down to Barefoot Beach in Bonita Springs (45 minute drive) to meet shelling sister Carla Barone for quite some time. Today I got to meet her and she was everything I thought… shell crazy and sweet as pie. As soon as we hit the beach, I found all of these pieces of CORAL as we walked south to get down to the jetty at Wiggins Pass. She loves to talk to everyone on the beach about all the fun things to collect. A perfect ALPHABET CONE! I saw the colors through her shell bag and commented on her find but she didn’t know what I was talking about. She didn’t realize what she had… until now. Then we ran into Carla’s good friend Jen who taught her about most of the fossils she has found. Today she was collecting as sorts of shells and goodies. Another one of Carla’s friends (she’s very popular on this beach!) Ella found this awesome SHARK’S EYE. What a cutie! Then I found this huge WORM SHELL. I still can’t believe how big it is. On the way back, we saw several ssslloooooww GOPHER TORTOISES. So this is where Carla finds a lot of her shells. Thanks for everything, Carla. It was a great shelling morning! If shelling were a band then Carla would be Pearl Jam. She rocks the beach! See ya at the show. I wanna play with you too!!! How much fun..and what great finds!!! It’s really nice to see someone who picks up the not-so-perfect shells and can make something beautiful with them. My husband and I ‘ran away from home’ in early January for 4 days in Sanibel. It was heaven! We got caught in a thunderstorm while shelling, but that didn’t stop us from walking on the path to Lighthouse Beach. I was happy with our finds, but am clueless how people are able to find such big shells. We just walked along the water line at low tide and looked at the shells brought in at high tide. Can you point me to the area on your blog where I can find directions about the best way to find shells, or the larger, nicer ones? Your worm shell is awesome! I’m going to have to put Barefoot Beach on my list of places I must see. So happy you connected with Carla, Pam. She is a wonderful and sweet as pie. And she is very knowledgeable about the shells and fossils she finds. Gosh, you both are fountains of knowledge! Glad you had a good time AND some pretty impressive shell finds I might add. LOL Still can’t get over that gigantic wormie and the “skoots”. Looks like a perfect day shelling! And yet another place that I must go shelling at. Unbelieveable finds. Thanks for sharing. That is THE best compliment I’ve ever had!!!! LOL! I love it!!! Hey guys, just found your site. Saw you pop up on my twitter stream. I live in Bonita Springs, 5 minutes from the beach. I love Bonita and it’s easy pace of life. Looks like you got some good shells today! Cheers! Might run into you guys at the new Caribbean Joe’s on Bonita Beach Road! moving to florida in march…..where is bonita beach and where exactly were you on bonita? i am not familiar with that area at all so can you give some sort of directions on how to get there from sanibel? please?! thx….. I love the whelk sculpture! It’s beautiful – very neat and inspiring! Oh wow. Now another place for us to explore. Heading for Tampa/ST. pete this weekend. 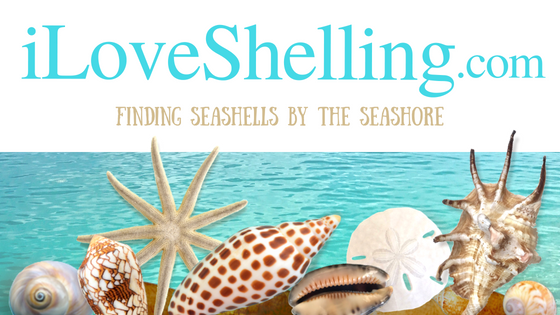 Any recommendations for shelling beaches? Pam, that has got to be the granddaddy of all the wormies! If we could all just get together~like a family reunion or something! Now that would be some fun! We’re practically neighbors! Yeah that tiki hut is going to be a hit with the local crowd~see you there!! Bonita Springs is a small beach town between Naples and Ft Myers. Barefoot Beach is just off Bonita Beach Road, as you get near the beach. I have lived here for about 9 years now and the shelling anywhere around here is going to be good. But I dearly love Barefoot Beach and also on the north end of town~the beloved 10 Spot!! Good luck on your move! Capital “OMG”……what a great day shelling. I love the coral and worm shells and everything!! “sigh”….cant wait to get back to Sanibel. Will have to include a day trip to this beach as well. Thanks for sharing….awesome!! Pam meeting you and showing you Barefoot was the highlight of my whole week and I had a fabulous time. Next time i come to your neck of the woods! I see that sculpture has found a nice cozy new home. :) I gave Mom one of each of the notecards so she can write to her friends back home and she just loved them!! Thank you for those.. they are almost too pretty to use! I look forward to seeing you again at the Shell Show~have a great week! I heard good shelling at Fort DeSoto Park (I’ve seen good wormies that were found there!) and Shell Island too. Good luck. Barefoot Beach!! It’s my favorite beach to find long wormies and fossils and coral and stones with cool holes in them. I also collect broken pieces of shell worn smooth by tumbling in the waves…they feel like soapstone in your hand, like a “worry shell” versus a worry stone. I was sworn to secrecy regarding Barefoot Beach by an old and wise friend in FL who has since passed, but you finally brought it up in your Blog Pam, so I can now talk about how wonderful it is too!! And it is, full of nature’s treasures…just look at all the wormies you found. I actually strung a wormie and it’s beautiful corkscrew, that had lost it’s tip, onto a black leather cord necklace I picked up in Sanibel @ the Seaweed Art Gallery and it was so cute!! I’d love to meet Carla too, we’d have so much fun, fun, fun!! Ft Desoto is good about 1,000 yards north of the fort. The north end of Honeymoon Island in Dunedin is good too. King of the worms! Nice. hopefully these beaches are easy to find! gonna check it out when i get there in 2 wks. Sounds like a great idea to me! Just say when and I AM THERE! LOL Hanging out with you and Pam would be awesome. Pam, you must be a wormie magnet. Thank you for continuing to introduce us to great shellers. People who love nature…..are the luckiest people in the world. wow , i wish i lived at your place , what a great treasure`s are those , we don`t have such beautiful beaches here with those beautifull shell`s . really love you blog , it`s my first time here . Wow those are some EXCELLENT finds! I wish I could make it out to Sanibel Island a little more frequently. I love this site n all the people who love shellin like we do in corpus Christi tx. !